I drew this, inspired by an event at the school in which I teach. These are two of my favorite literary characters. If I have to pick, I'd say I like Percy Jackson a little better than Harry Potter. Probably because of my intense love of Greek Mythology. Would he win the fight? Well, Harry is the Boy Who Lived. Percy is a Demi-God. I'd go with Percy. I have been rather tired and unwilling to write much lately, but I am back now and I want to discuss what I think is my favorite non-dramatic webseries: Table Top. 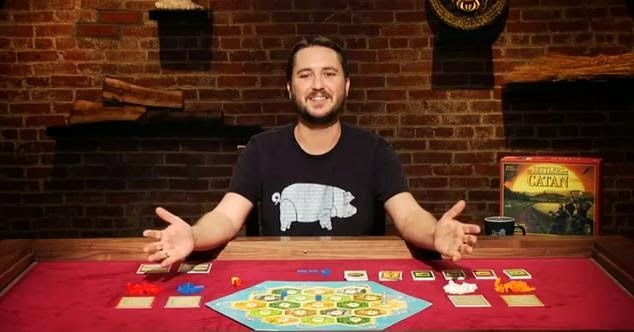 Table Top features Wil Wheaton playing all kinds of board games with his friends, game designers, and other celebrities. You may think watching people play games would be slow and boring, but I assure you the series is addictive and the episodes are put together to keep the game play moving while allowing the viewer to understand the gameplay and laugh along with the players! I am a gamer. Somewhere along the way I became much more serious about game playing than most of my peers. I have studied rulebooks, played more and more complex games, and looked far and wide for opponents to play with. Mostly I just love playing. I think the best games are fun whether you win or lose, and some of my best stories are about times I’ve lost. I still enjoy playing very simple games and party games, but I really enjoy something a little more deep, but not so complex the rules slow you down. That being said, my favorite board game is Magic Realm, a classic and extremely complicated fantasy board game that I’ve organized online tournaments for. But enough about me. Wil Wheaton is an actor best known for playing on Star Trek: the Next Generation. His character wasn’t in many of the later seasons that I am most familiar with, so I can’t say much about his acting. However, I can say he’s a great host for Table Top and does a wonderful job introducing the games and keeping things interesting and educational during the show! He’s obviously very knowledgeable about games (maybe as much as me) and he’s very funny in victory or defeat! 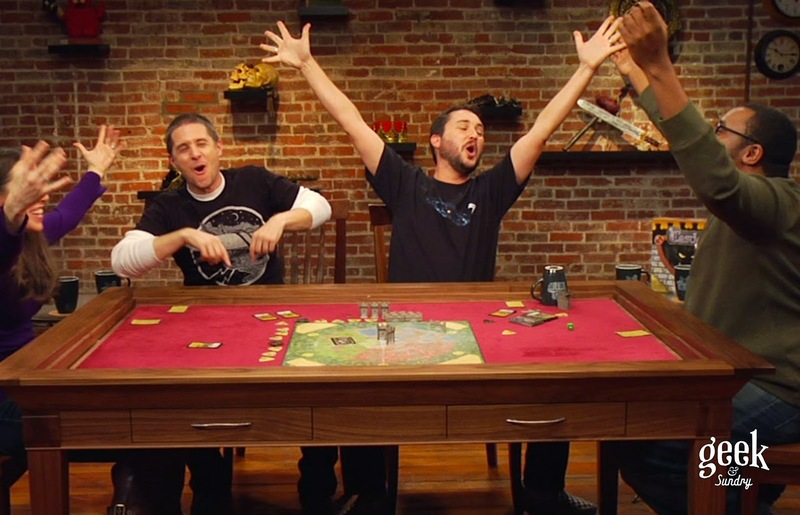 The many players featured in different episodes range from experienced gamers to novices, yet all seem to enjoy themselves and do well at playing the games. I now many people have been writing far better eulogies than I am doing here, but I also realize that Mr. Spock is and will always be a huge part of geek culture, and therefore I would be remiss if I did not say something about the passing of Leonard Nimoy. Mr. Spock, the most recognizable character in the Star Trek pantheon. 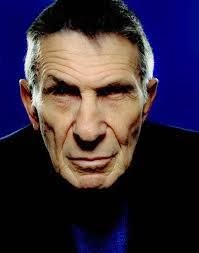 Leonard Nimoy was a great actor, who portrayed many characters over a long and successful career. However, Spock is his most recognizable achievement. From the beginning of Trek to the recent reboots Spock is the anchor of the cast. I think it’s a great accomplishment of an actor to create a character that is so recognizable. That’s what I am trying to say. 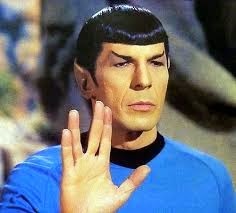 Leonard Nimoy, I salute your accomplishment. Rest in peace. First let me say I am totally in love with Hayley Atwell. Her portrayal of Peggy Carter is just so perfect and she is just so amazing and adorable at the same time. I can’t imagine a more perfect casting. I would think just about everyone else who has seen this series would agree with me. This show totally belongs to Ms. Atwell and she shows no trouble carrying it on her beautiful shoulders. 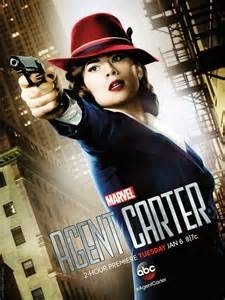 Agent Carter tells the story of a government agent fighting evil and sexism in America after WWII. I am a sucker for period pieces, and this period in particular in very engaging to me. Partly because this is the time when Marvel Comics earliest roots were beginning to form. Long before Stan and Jack would change the world with the Fantastic Four there were plenty of little comics written and drawn by all kinds of hard working people nobody knows, getting very little credit. But these guys laid the groundwork that eventually became the franchise that created Agent Carter. Likewise, Peggy Carter helps lay the groundwork for what eventually becomes SHIELD and the current Marvel cinematic continuity. But mostly I loved the series because it had that edge-of-your-seat style of writing where you’re expecting twists and tragedy every second. The story had lots of action and intrigue, and kept me wanting more every week. And now I want more even more than I wanted more before. The series left the future promising peril and I hope we get to see some more of Agent Carter and friends. If only they could get Jim Hammond, the android Human Torch, to guest star!